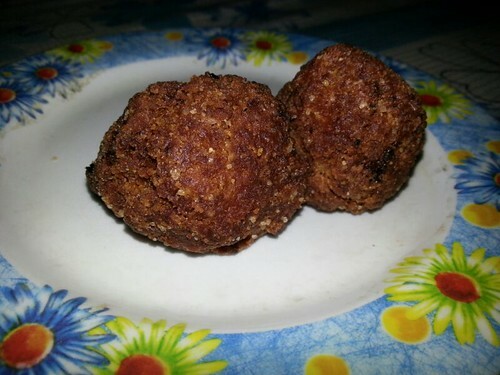 Thenga Unda refers to coconut ball fritters from Kerala, India. It is made from freshly grated coconut, mixed with jaggery, ghee and cardamom powder then form into balls then deep-fried in Coconut Oil until golden brown. I really do not know if Thenga Unda is traditionally a Keralan teatime snacks, but this was was bought by my friend in a Chaya Kada (Teashop) in Allepey, a district of Kerala. Thenga and Unda , is the Malayalam words for Coconut and Balls, respectively.